Who are the people behind the Arela brand? Maija, my mother and our founder, is a textile and colour designer with a long career in the textile industry and colour forecasting. My sister Anni is the designer behind the Arela pieces. She’s an Aalto alumna with a dance background, which can really be seen in her design process – the movement of the body and how the garment feels from the inside are always crucial to her designs. My background is in arts and culture studies and I’m in charge of our communications and the brand in general. What was the main reason that you started the company? What is the philosophy behind your design work? Arela was born from Maija’s idea to “update” cashmere and bring it to the Finnish market. It was 2006 and she longed for cashmere in modern, interesting designs and colours. 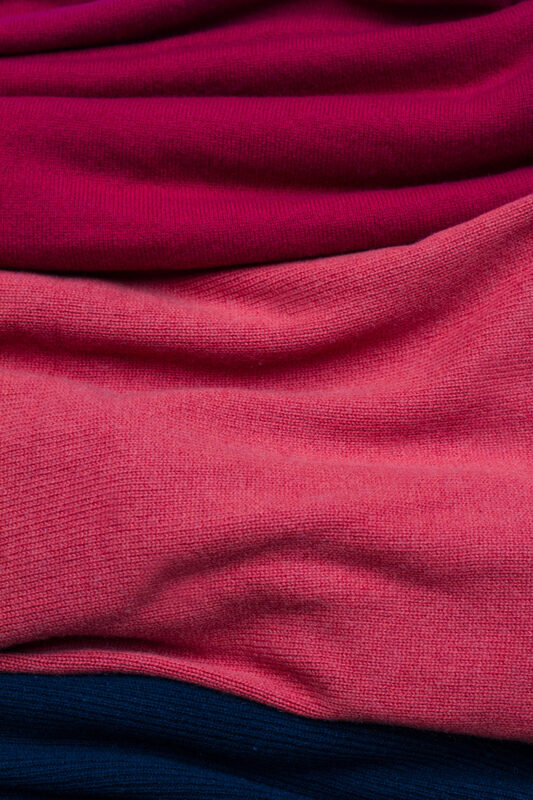 Back then there wasn’t much accessible cashmere in the market even though the material is suited so well to our weather conditions. One of our driving forces is our need to bring a sense of well-being and a better everyday to our customers. It may sound sappy but it is a really important notion in all we do. 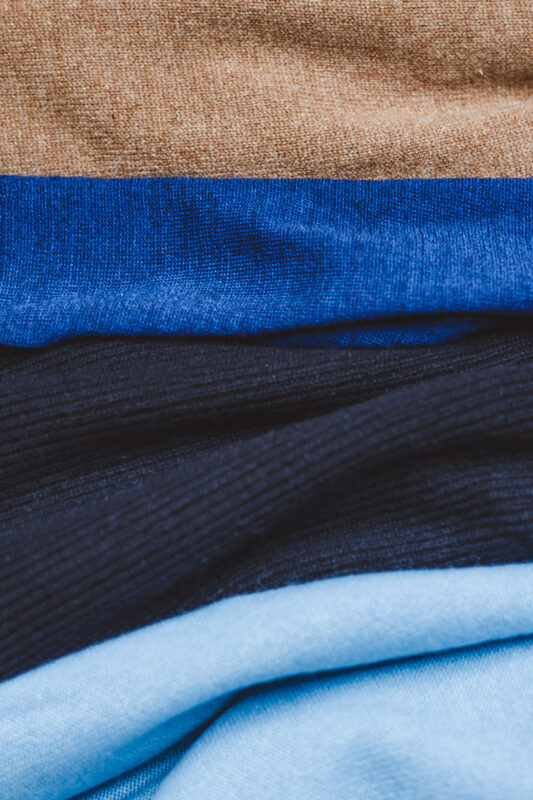 The materials that we use are so comforting, just wearing a cashmere sweater will make you feel better immediately. We want to extend that feeling to all of the areas of our work. 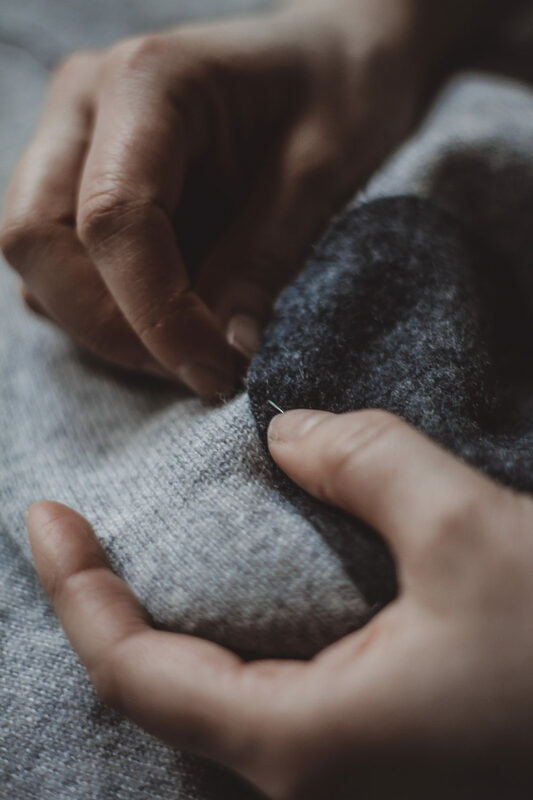 It’s also a big part of how we take responsibility for our customers and products by offering the care service for our knits. How would you describe the Arela aesthetics? Considered, clear, effortless. We aim to make garments that leave space for the personality of the wearer. They do not shout but firmly underline the wearer’s own message. Accessibility is an important principle. As ambitious as we are in our work, we always strive to make sure it is accessible – size-wise, style-wise, age-wise, economically, geographically and conceptually. We would not exist without our audiences – and, in a way, our garments would not exist without their wearers. Arela is a very quality-focused brand. Can you tell us about the materials that you mainly use? 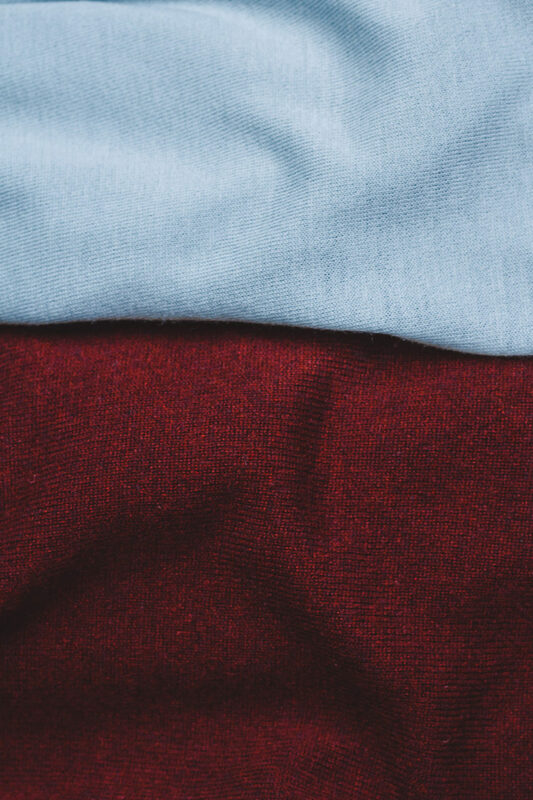 We started with cashmere, and it is still one of our most used materials. We have been using the same cashmere yarn producer since the beginning. The material comes from China and is collected from cashmere goats during spring by combing them and then spun into yarn and dyed. Nowadays we also use merino wool and high-quality cottons. The cotton we use is mostly from Turkey, the Aegean Sea, where the fibres grow long and durable to make extremely soft cotton. We really pride ourselves on the quality of our materials. It is such a joy to be able to work with them! The knitting process leaves no remnants or waste. In that sense Arela is an environment-friendly company. What future do you see for sustainable fashion? I believe we will soon stop talking about “sustainable fashion” – all fashion brands that want to succeed and speak to the contemporary consumer must be sustainable throughout. There’s no excuse to not. At Arela we see sustainability as an umbrella over everything we do. It is about how we design the products in a way that minimizes waste and the use of chemicals. It’s about how we choose the materials so that they last as long as possible in use and are also mendable. It’s about how we design our pieces to last over seasons. It is about how we only want our customers to consider their purchases and buy only what they really love, to ensure that the garments stay in use as long as possible. It’s about how we arrange events about sustainable fashion to raise awareness about the value of each garment produced in this world. It’s about how we use recycled or undyed materials whenever possible. It’s about how we choose our production partners. The list goes on. Can you let us in on your creative work? What is the process behind a new collection? Anni always goes back to the materials, questions them and starts anew. When you design in a minimalist manner, you don’t play with extra; with bells & whistles…rather you go back to the essence of the material. It is important how in feels on your skin – our design process always moves from the inside out, not the other way around. It’s about how the material and garment feels when you’re wearing it. The starting point of a collection is often a certain feeling in a certain place and time that is hard to define. It’s quite abstract, actually. Our design process does not start from a chosen theme but is much less defined in the beginning. Anni sketches and plans and then starts to take things off – to simplify, simplify and simplify. She aims to create a rhythm between the materials that forms the unity of the collection. Maija is in charge of the colours. She has a knack for combining colours in a very interesting, fresh way that never ceases to amaze me. And then I write all our ideas into a story. Since the beginning you have been offering your clients a repairing service for their woollen garments. Is this a direction where you wish more brands would go in the future? Sure. I have always loved to take my shoes to cobblers, and it’s a service I use frequently. I wish other brands and manufacturers would also provide that kind of service. I’m not an avid shopper and like to stick to the clothes I have but they do need mending at times. 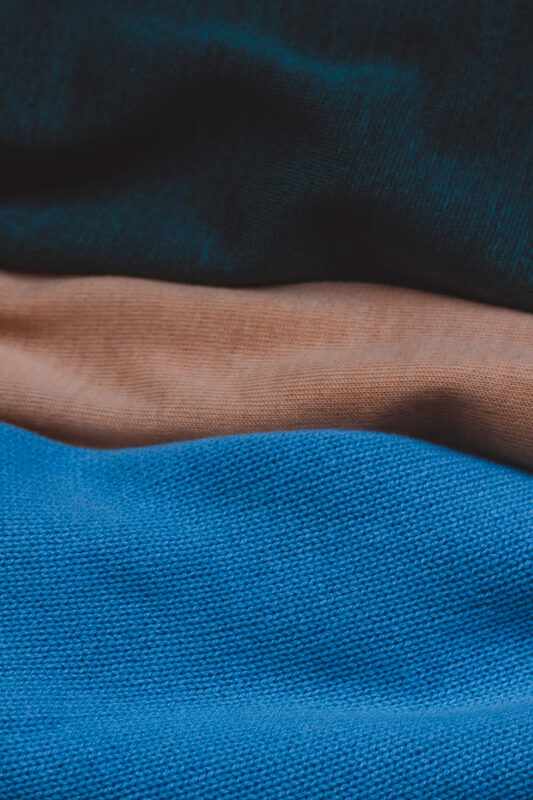 How do you take care of a cashmere garment so that it lasts for as long as possible? Let it breathe between every use. Comb the pilling away as soon as possible. Seldom wash, but when you do, wash it gently with a wool detergent. Do not use the same garment every day. 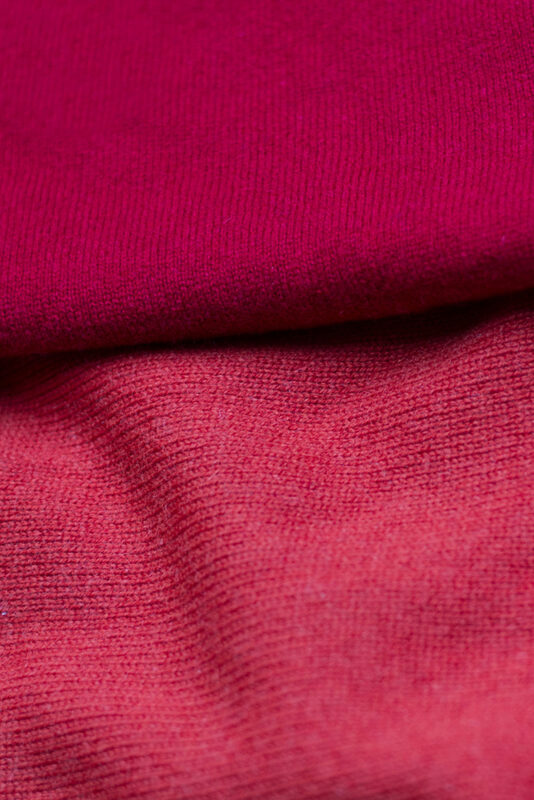 Steaming with a steam iron refreshes the knit between washes. What to expect from your work in the future – any plans you could reveal yet? Last year we launched a new home collection made of undyed, chemical-free cashmere called Arela Sunday, which we will definitely work on and grow further. The same applies to our For Good concept. You will most likely see more of Arela outside Finland soon too! Arela has been organizing panel discussions on ethical consuming and on the philosophy of fashion. This concept is called Arela For Good. Do you already have a next event scheduled? Yes, actually, we have a For Good event on Saturday the 18th of March. We have taken back our customers old Arela knits, washed, combed, steamed and mended them and sell them forward as second-hand. We will also provide instruction about general cashmere and knit care at the event. The event will be at our Helsinki store, Uudenmaankatu 26, 11-18. There will also be new discussion events later this year. All the garments are from the Arela collections.